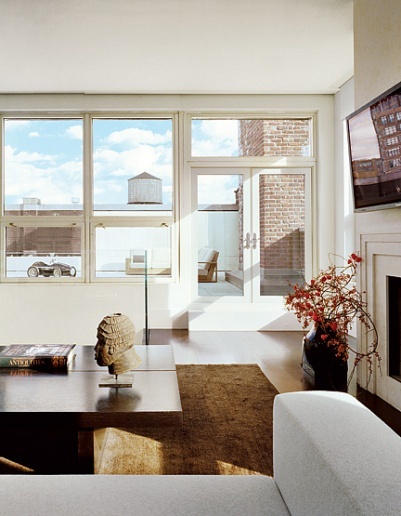 A little research for a friend, lead me to this wonderful Tribeca apartment. 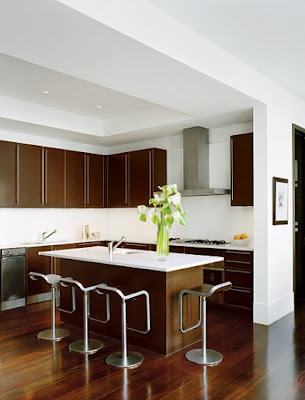 The owners, a young couple with a modern aesthetic like 2 colours; dark brown and cream. 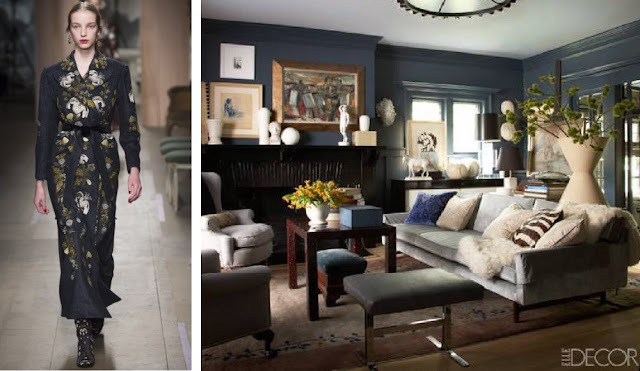 They partnered with the very talented, Jennifer Post to perfect there 7000 Sq ft residence. It's notable because of the linear detailing the dark wood presents throughout the home. Floors, trim and furnishings create a line of sight that gently urges you to explore each room. In the hallway below, only the passageways are trimmed in dark brown stain. It's brilliant! And a detail I would highly recommend to those of you who love modern interiors with sharp contrasts. 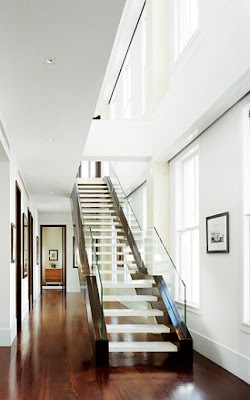 This floating staircase is a feature that can be seen from many rooms in the house, and is always filled with bright natural light. Below, no window coverings to keep with the minimalist and clean approach. This is a family home; the couple has 3 children. One would never tell from the the styling displayed. Although, I will admit it would be nice to see this home in action, and to see how they managed the children's rooms.